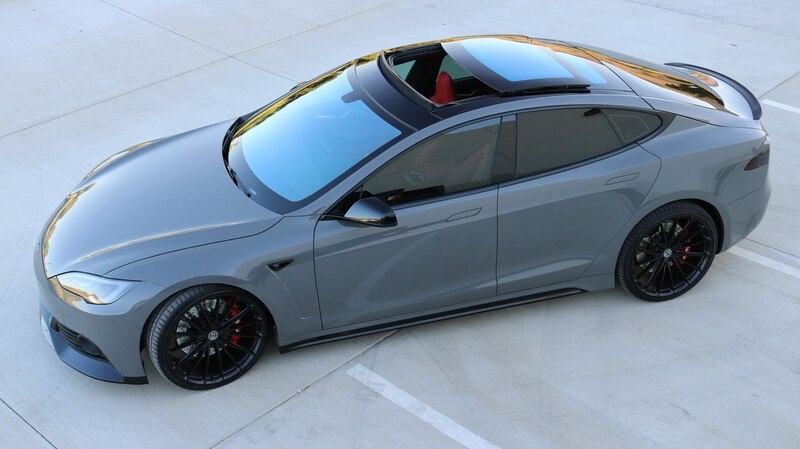 Forget the production hell of the Mesla Model 3. 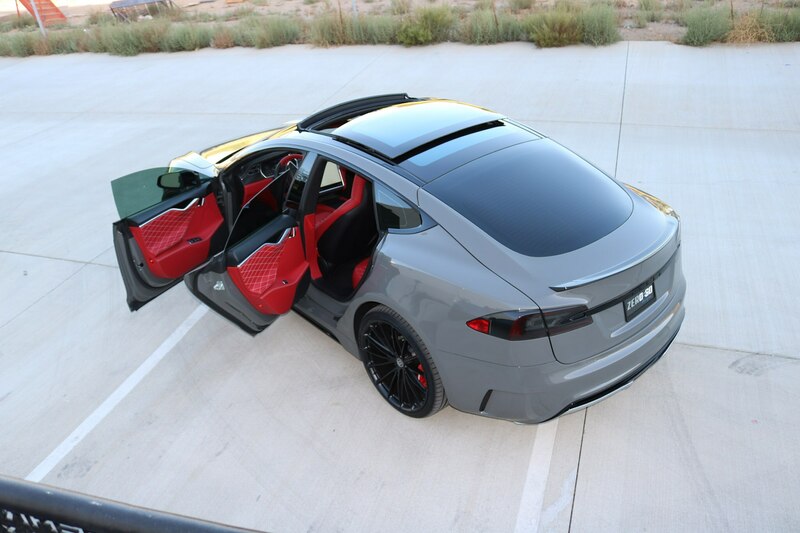 At last check Elon Musk was stuck in Level Nine. 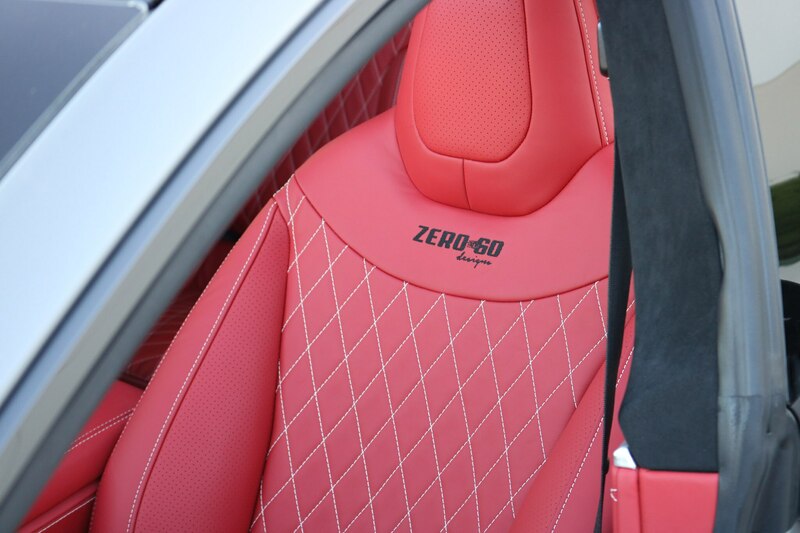 So instead, feast your eyeballs on the Zero TS by Zero to 60 Designs. 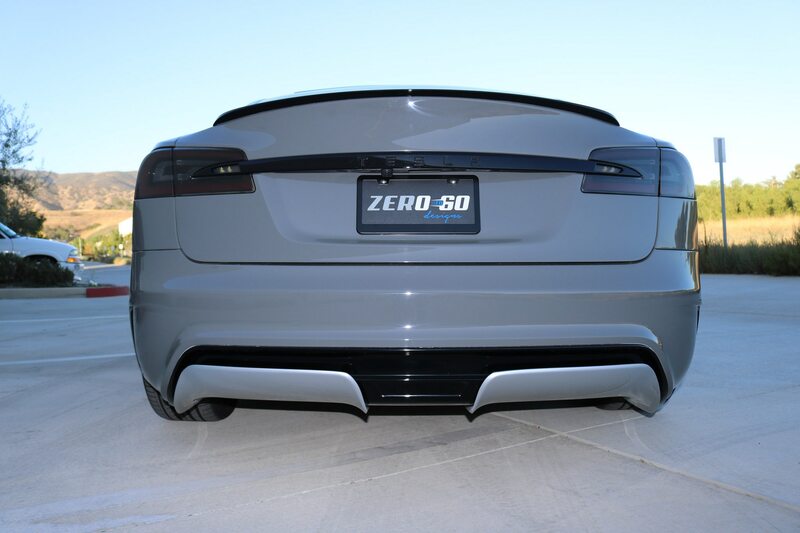 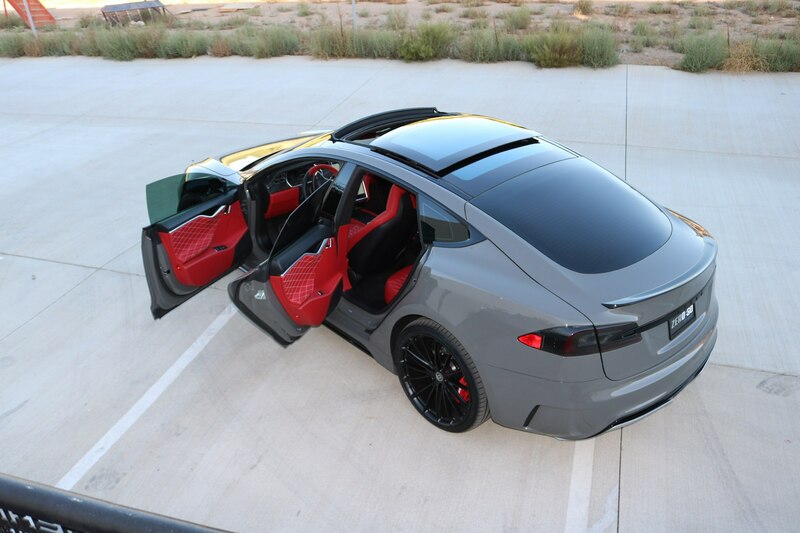 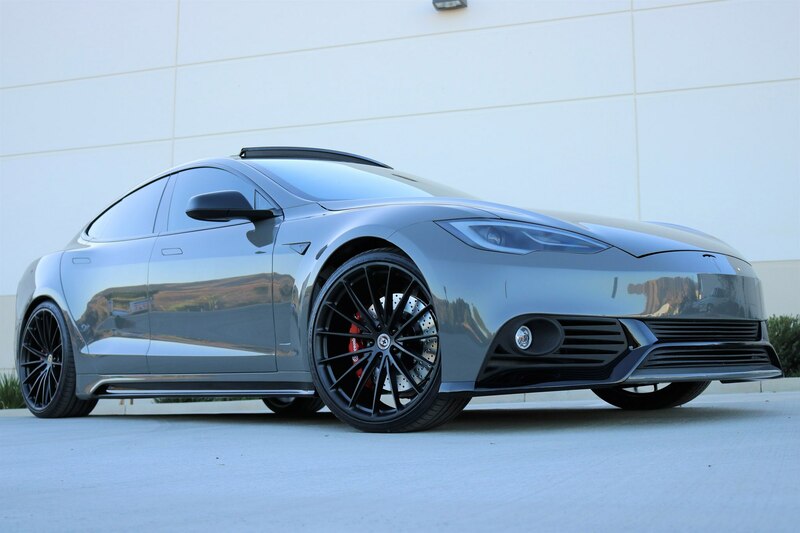 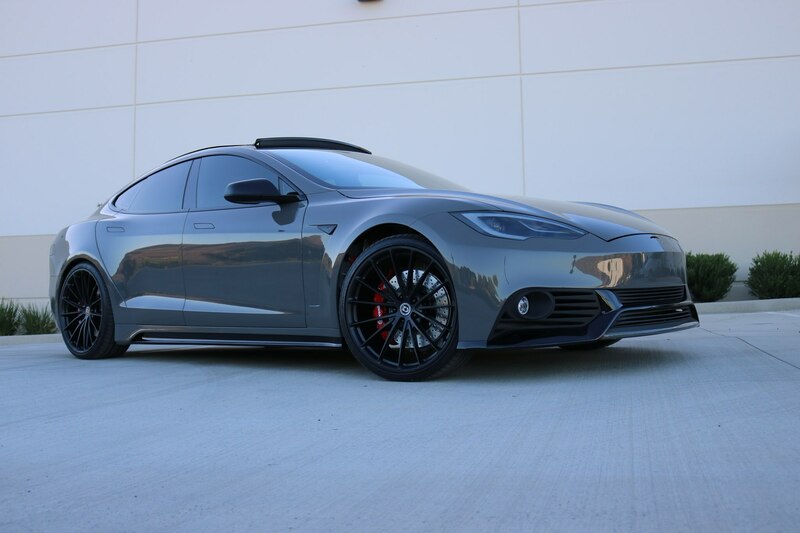 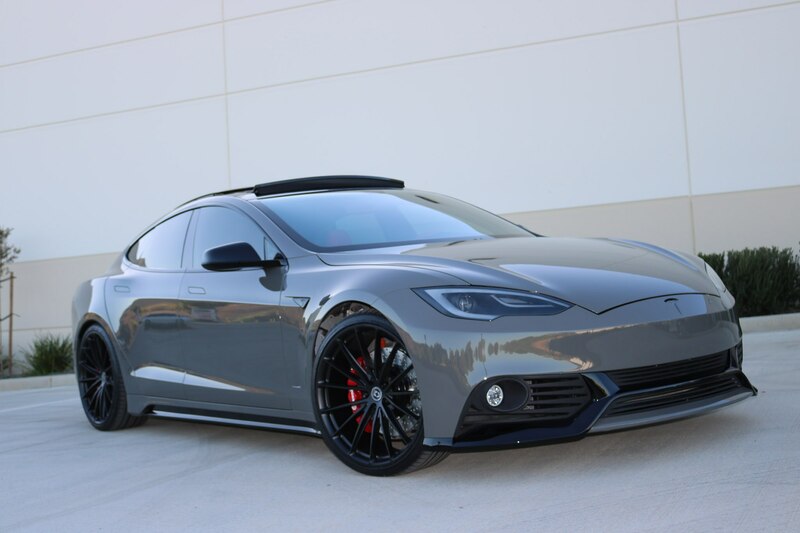 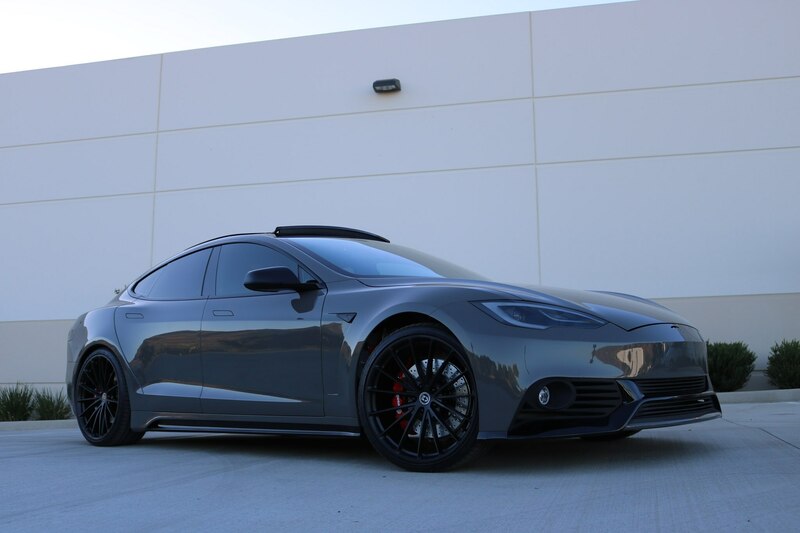 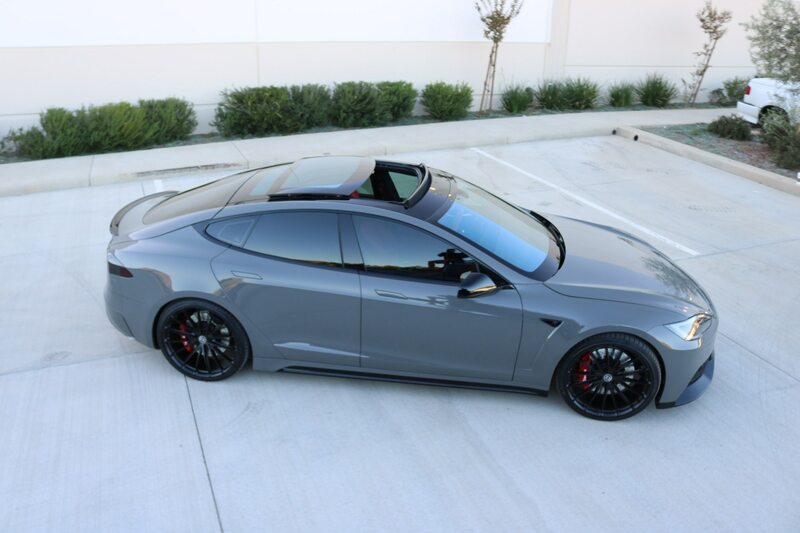 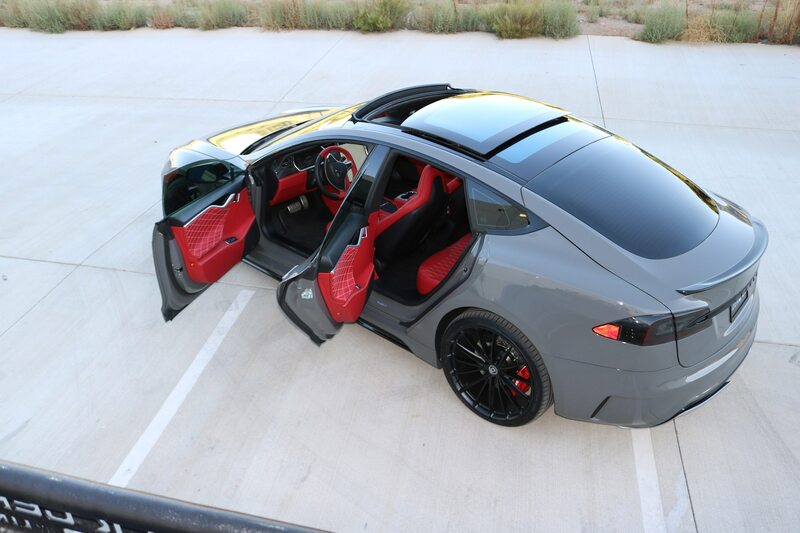 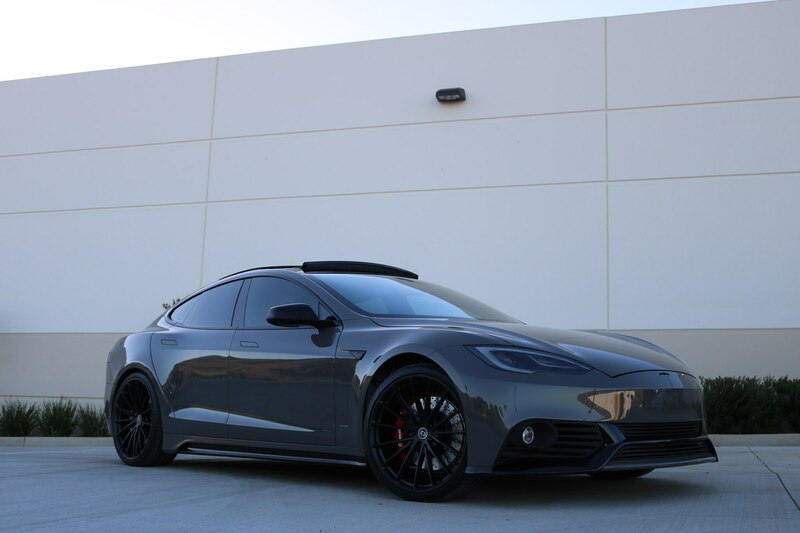 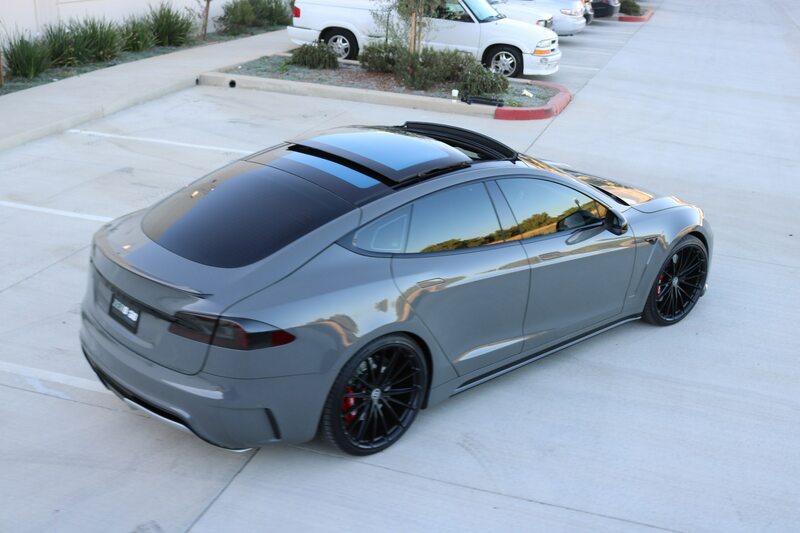 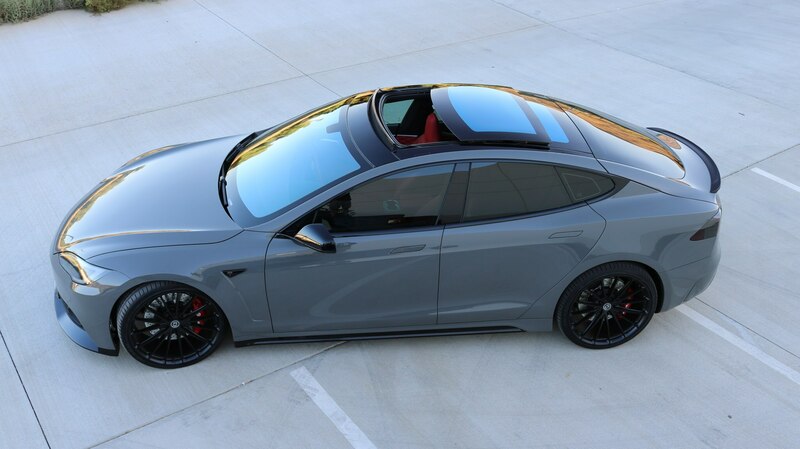 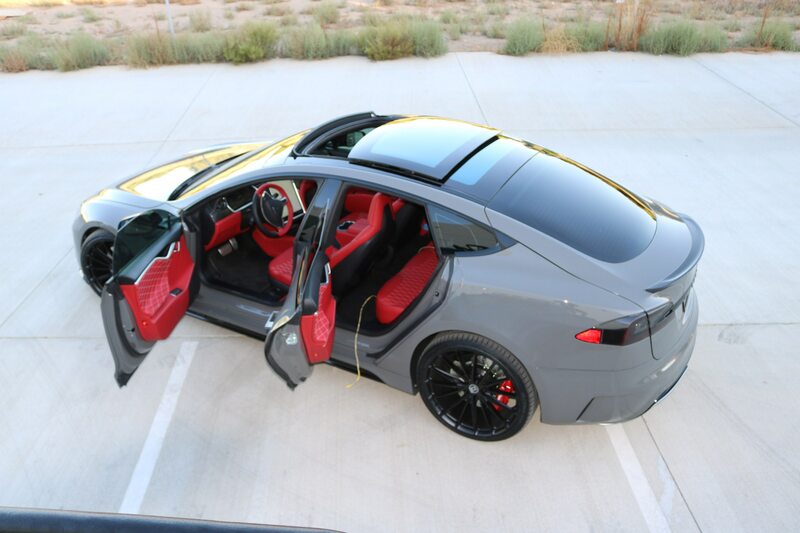 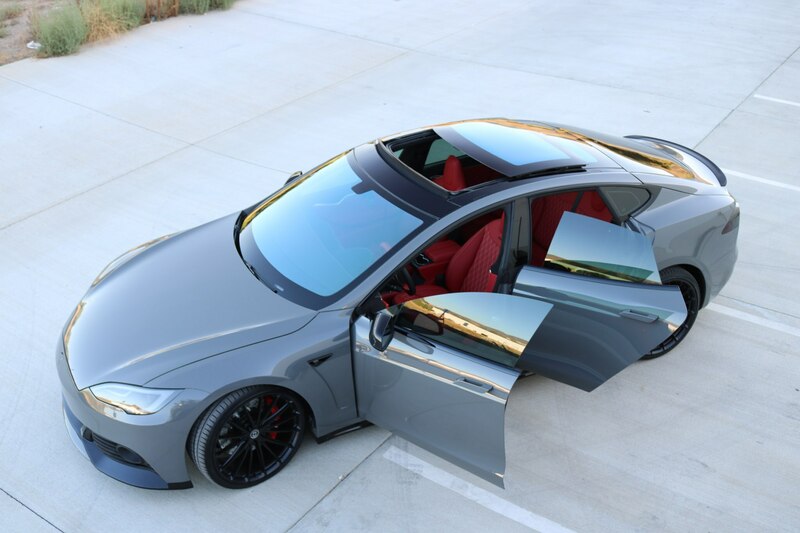 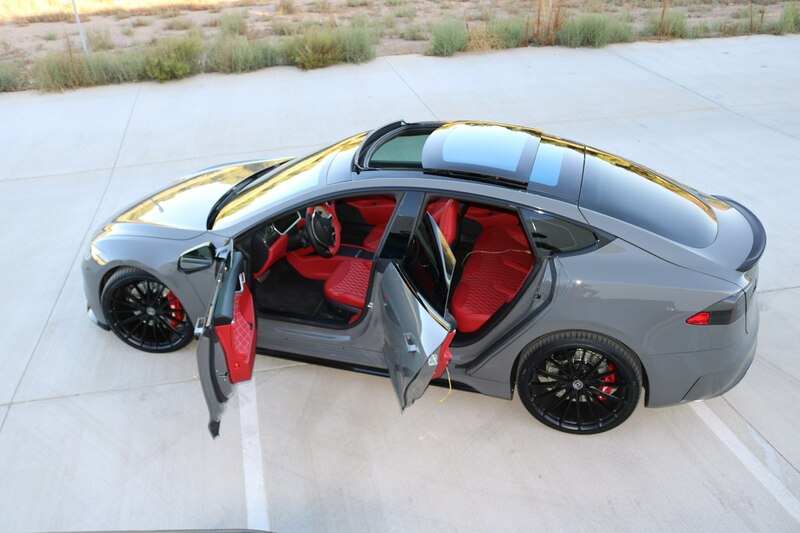 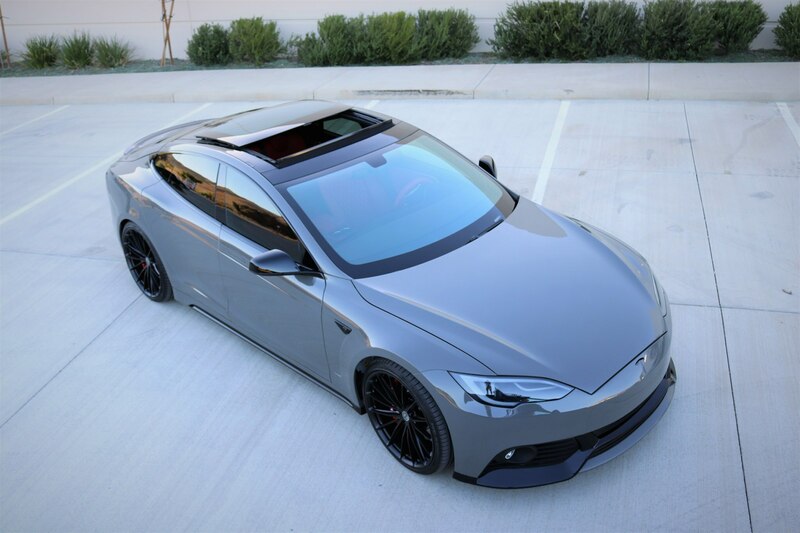 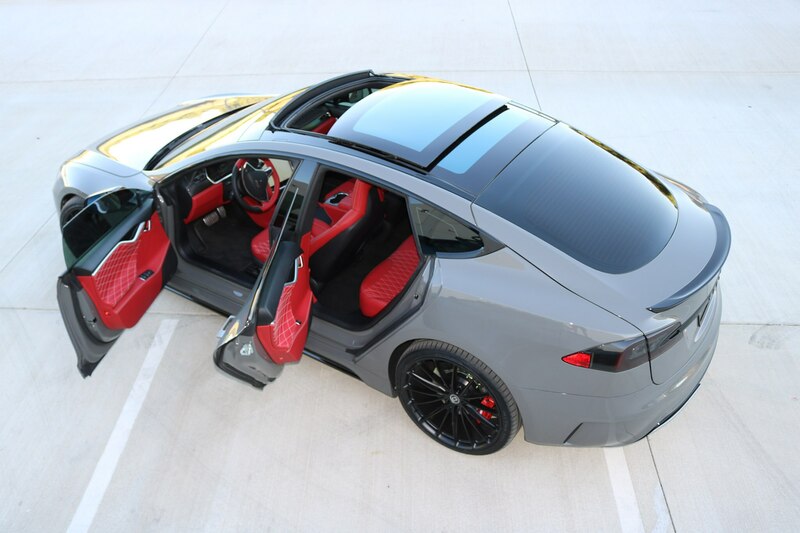 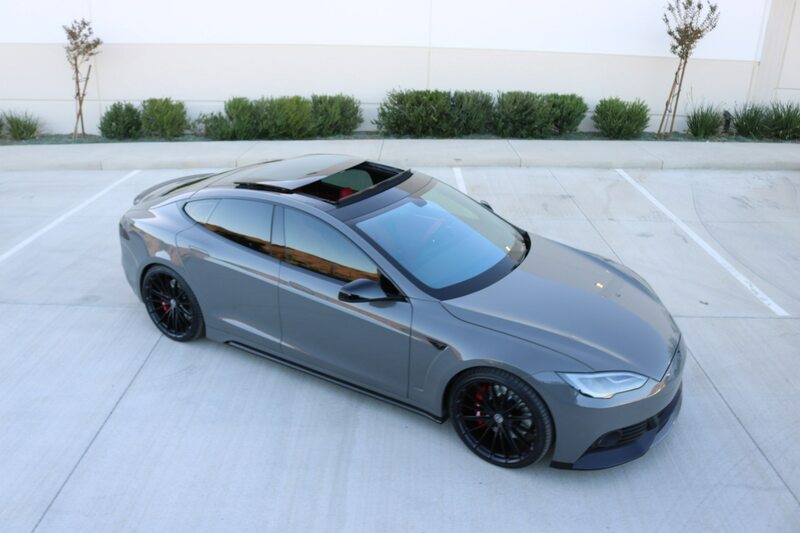 Zero TS gives the Tesla Model S a “performance look” to help your Tesla stand apart from the staid O.C. 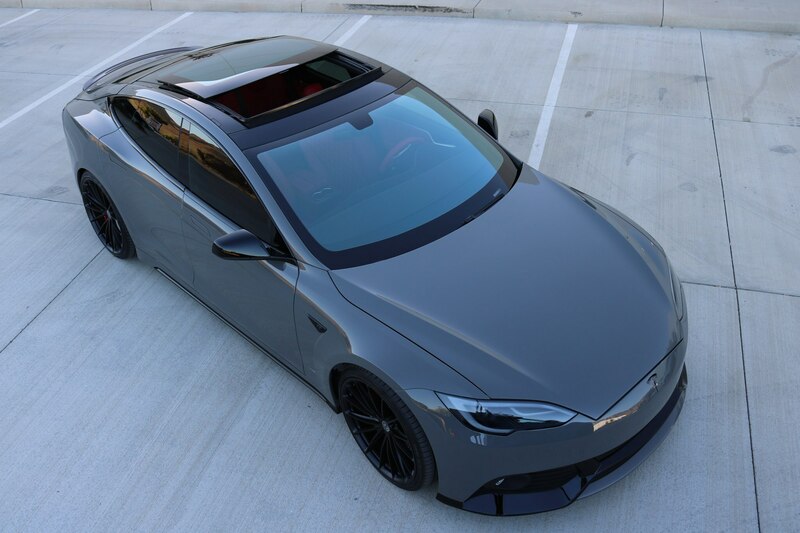 crowd at Fashion Island. 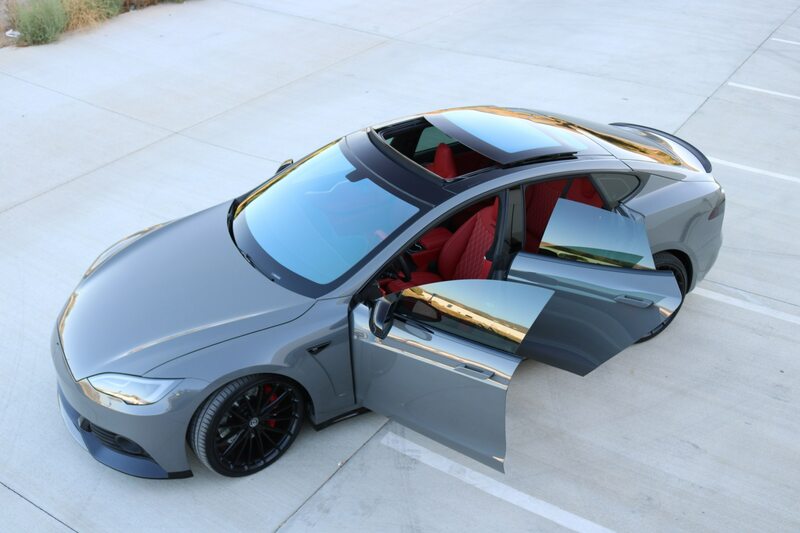 Kenny Pfitzer, formerly of West Coast Customs, founded his company last year. 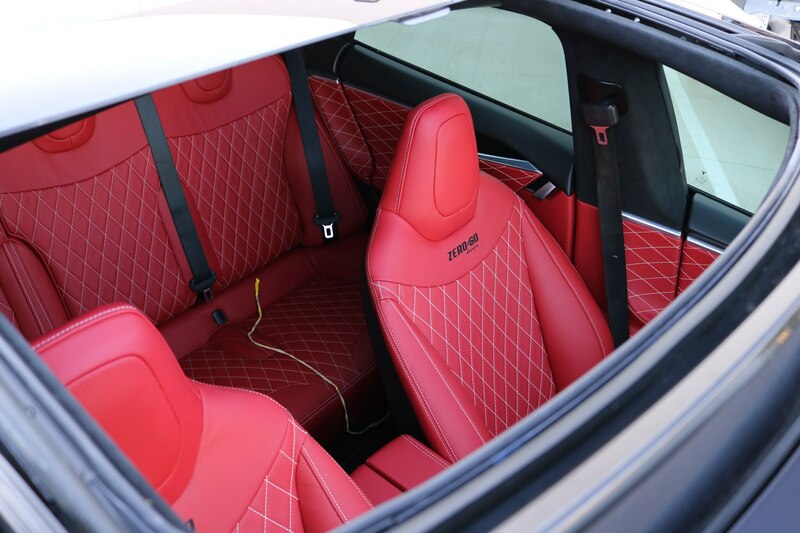 Zero also brought a modified Raptor, revamped Ford GT, and other goodies with wheels to this year’s SEMA show in Sin City. 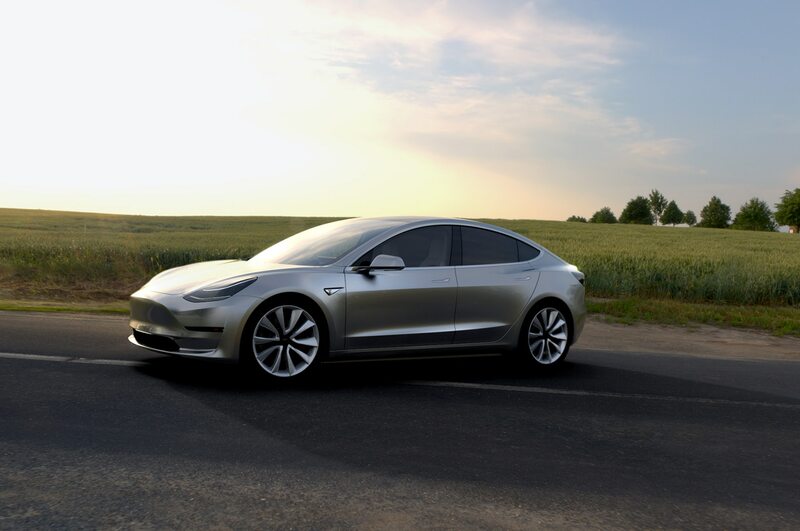 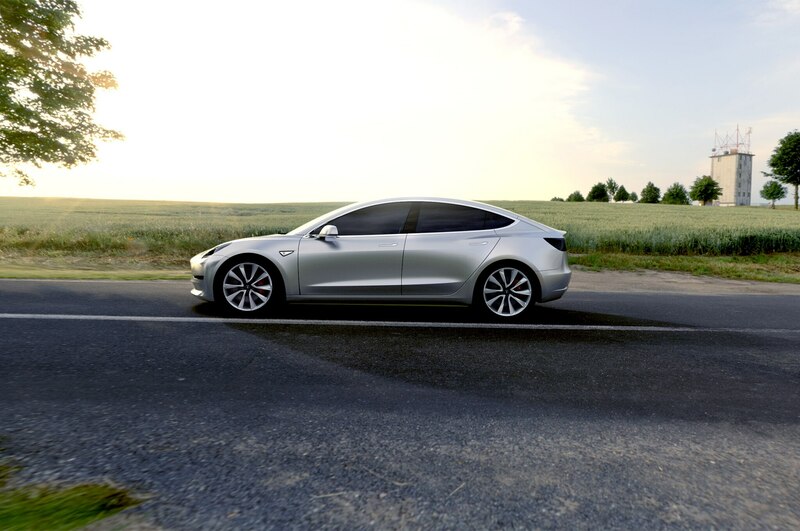 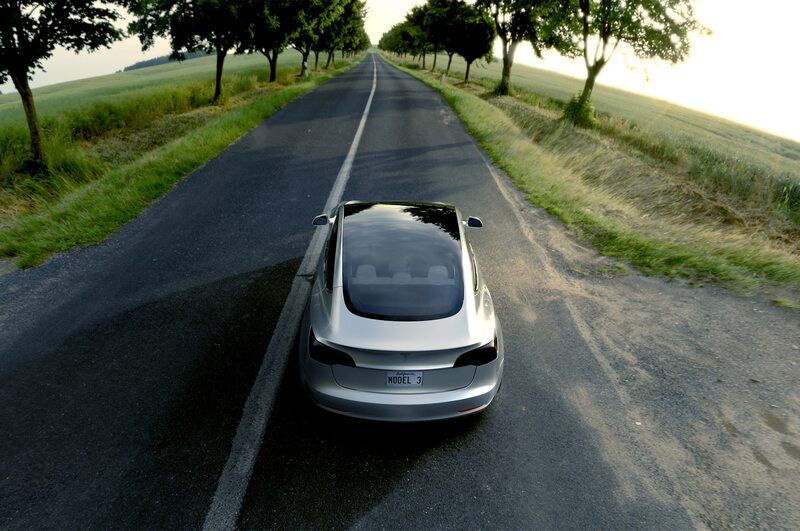 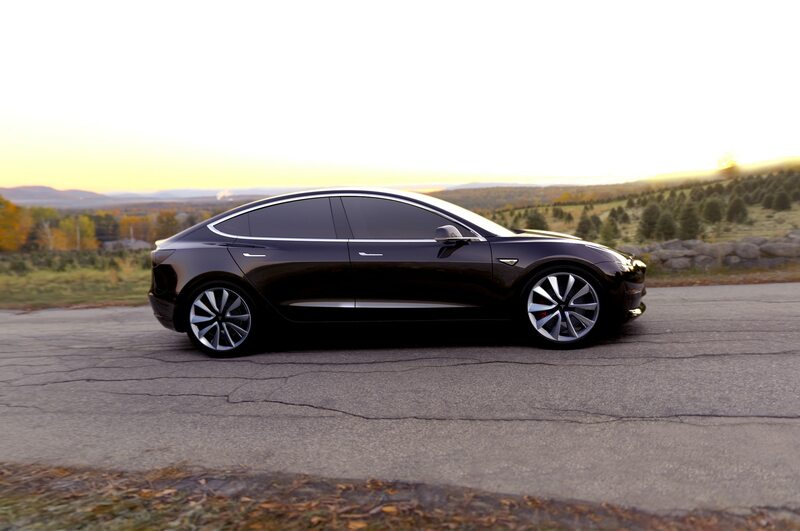 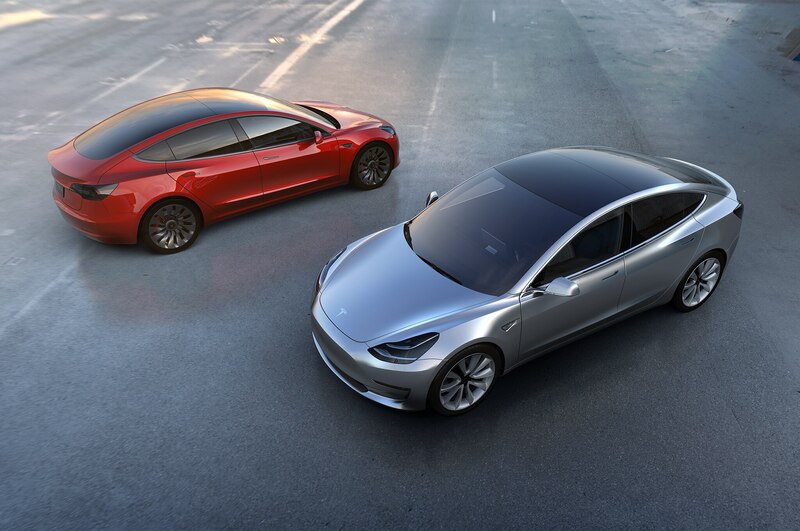 For the TS, Zero to 60 redesigned the Model S with some sleek curves and softer edges. 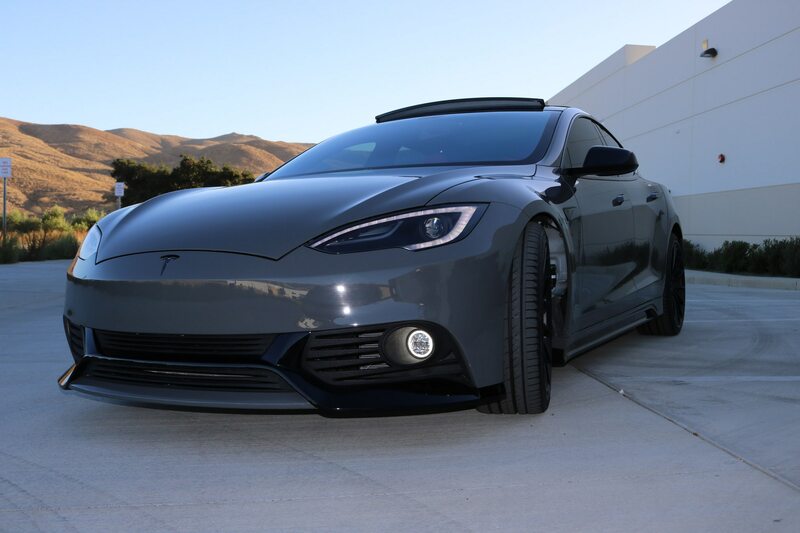 The front end and reshaped rear receive carbon-fiber accents for starters. 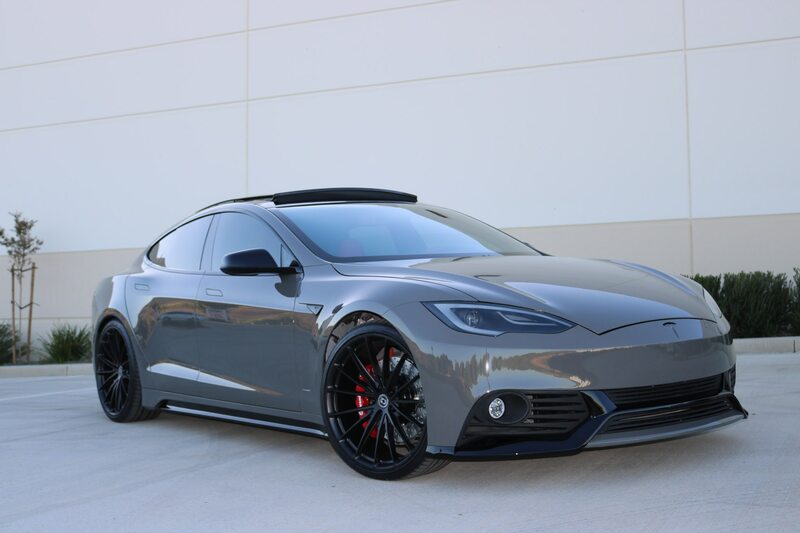 It also gets a dolphin gray $40,000 exterior PPG paint scheme. 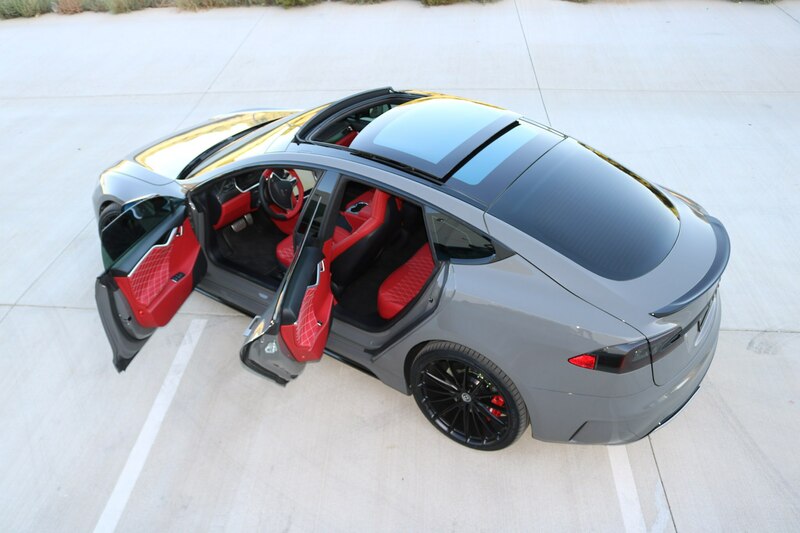 Solar Gard (one of the car’s main sponsors) provides a clear topcoat that helps protect your EV from dings and scratches. 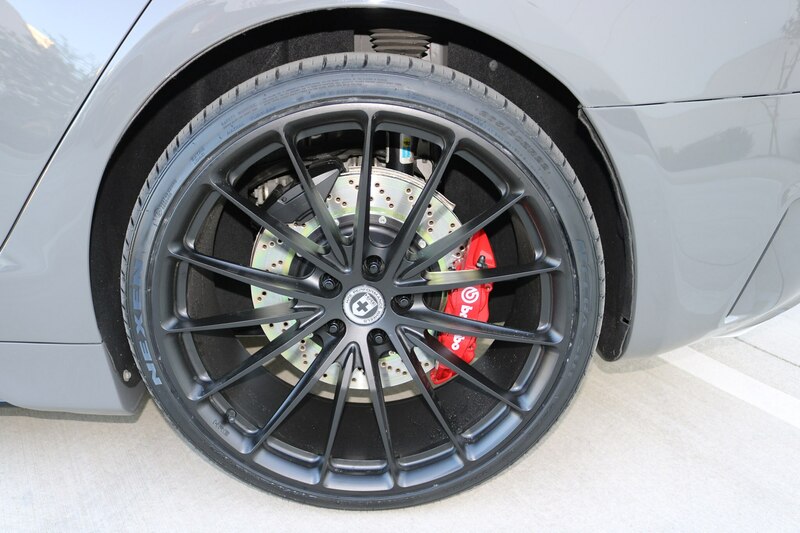 We’ve also been told that it DOES in fact protect it from keying; but just in case—don’t be rude to skaters, bikers, or Dodger fans. 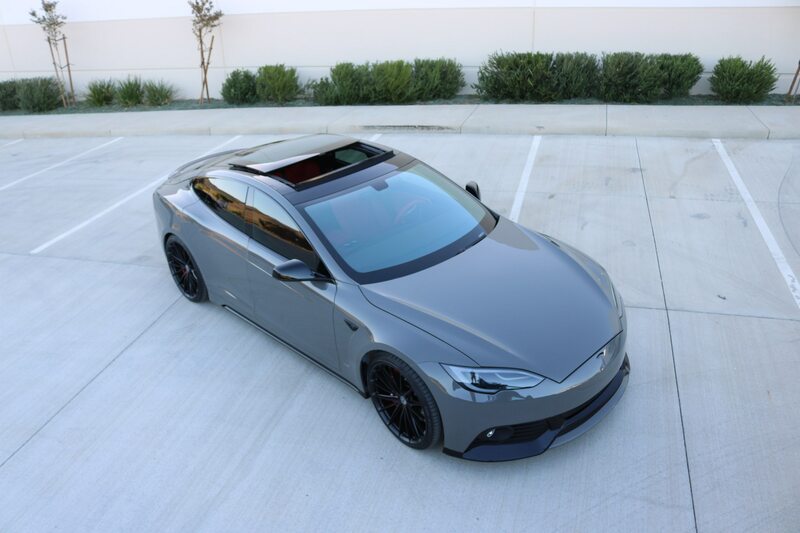 The Zero TS here rolls on black HRE wheels and Nexen Nfera tires. 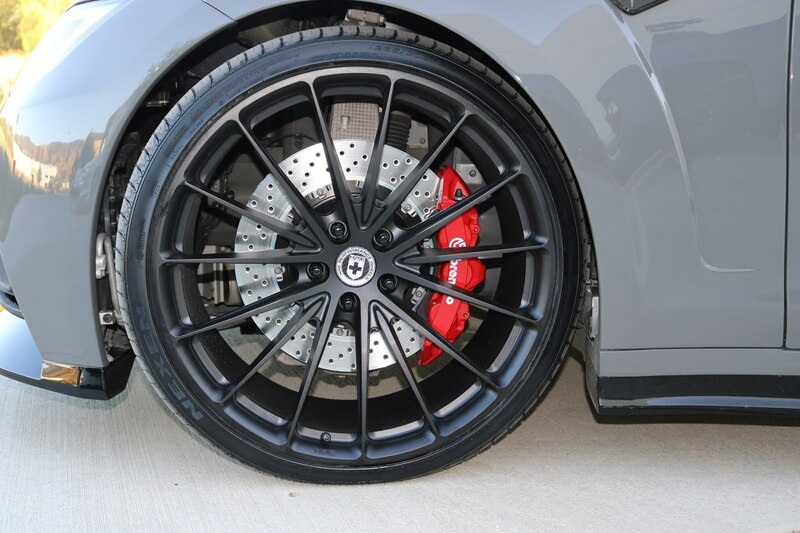 Because black makes everything faster too. 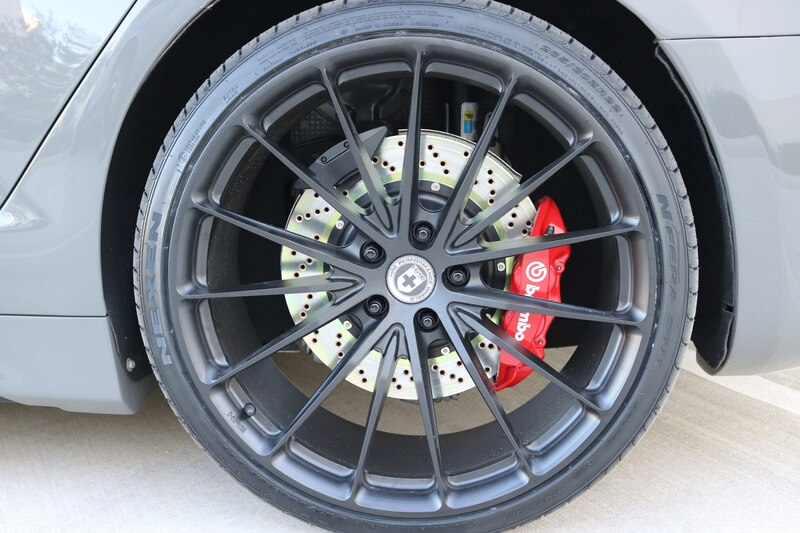 It also gets custom Brembo brakes to help slow it down on the street, track, or more importantly, at the Starbuck’s drive thru. 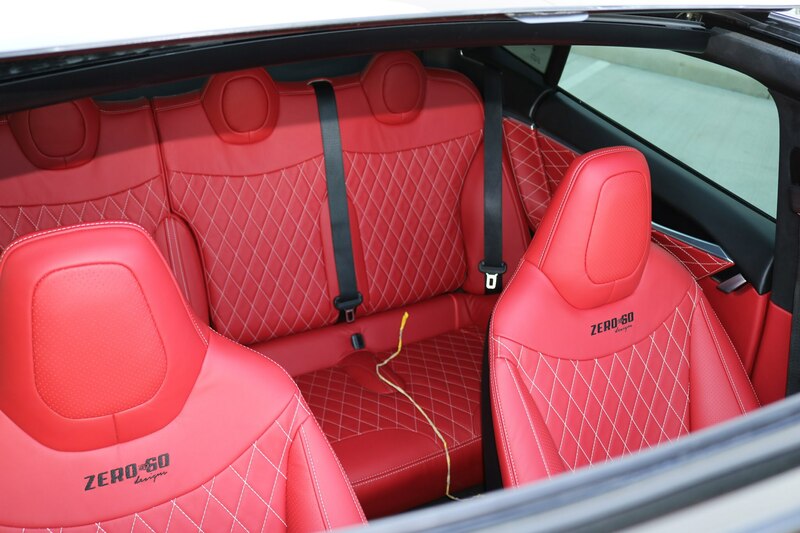 Inside the cabin receives a bloodbath of red European leather that looks soft and supple to the touch. 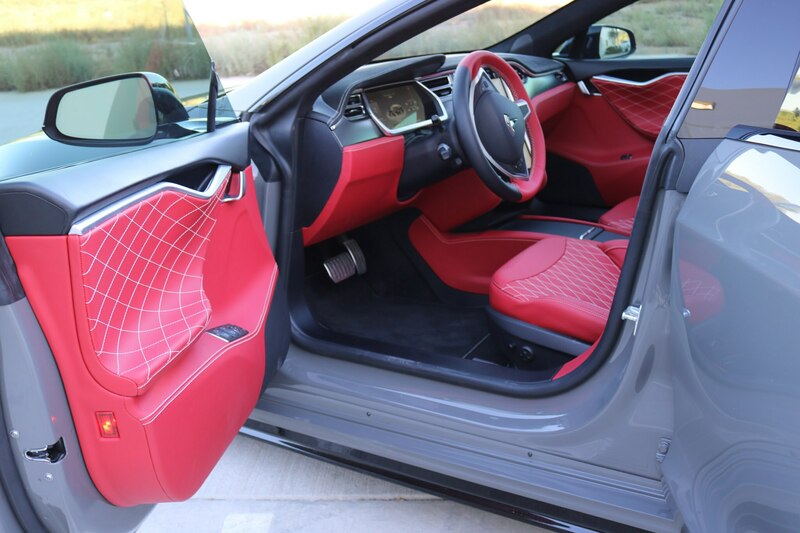 Zero claims that the custom interior is protected by Solar Gard’s LX Series window film but even so, don’t spill your frickin’ Frappuccino on it. 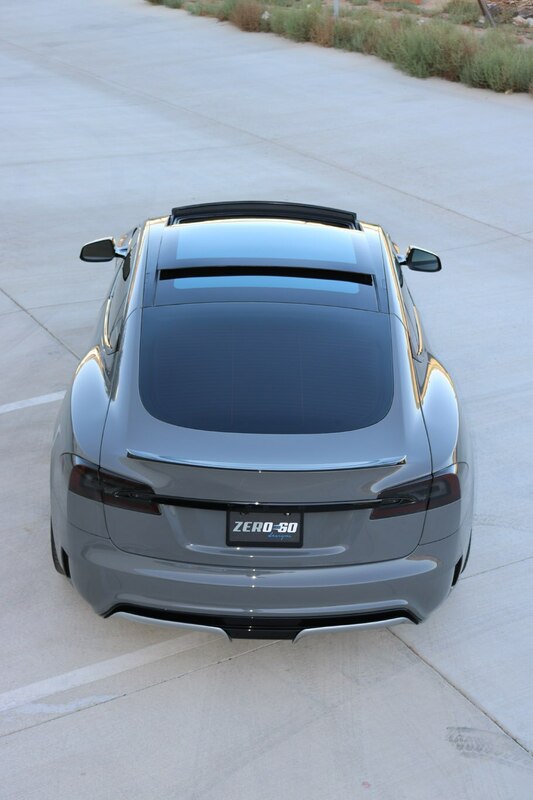 Zero to 60 says its new Tesla upgrade kit costs $6,500, which sounds like pocket change for most Tesla owners. 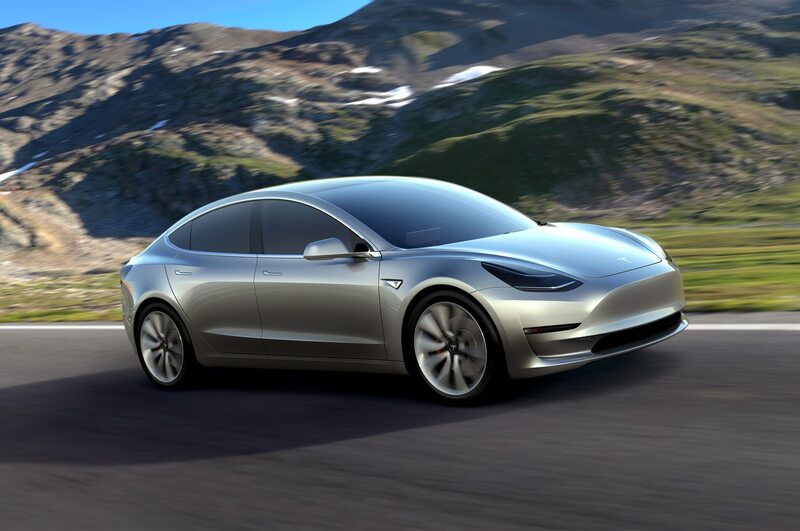 Well, maybe not Model 3 ones anyway. 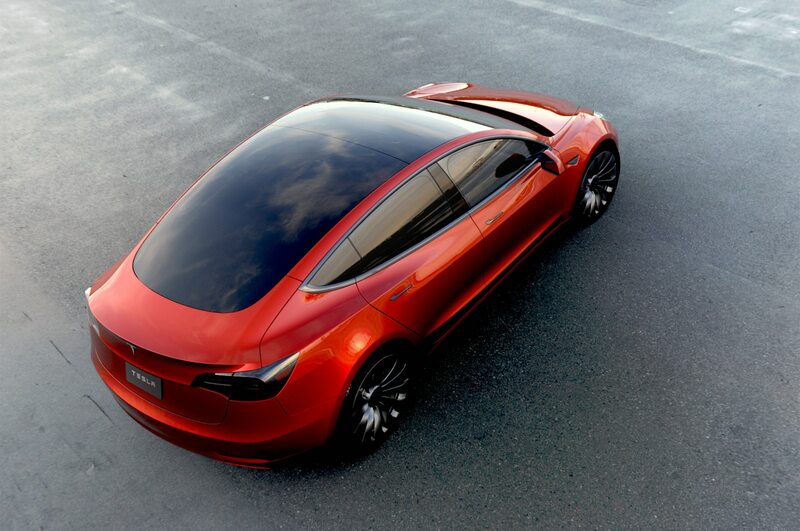 Now if Zero can only make a Nissan Leaf 2DIE4—that would be awesome. 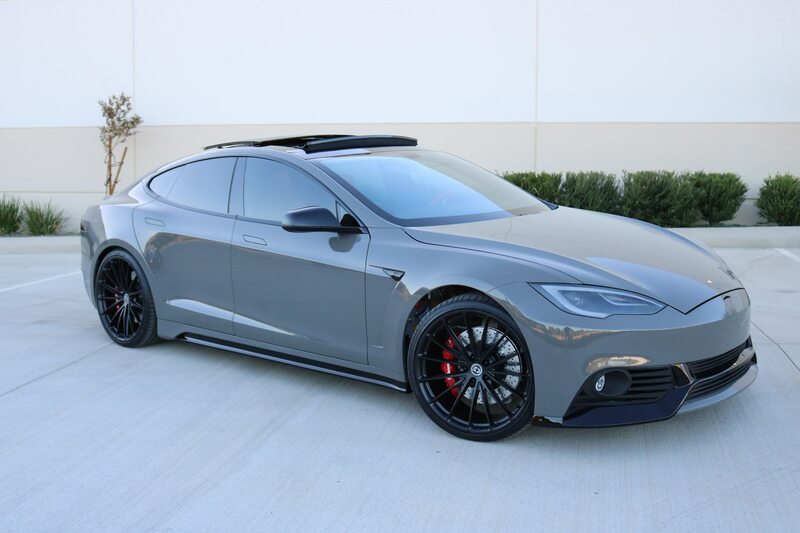 Well, maybe next year.